Do you remember planning your seventh birthday party? If you’re like me, you debated between the roller skating rink and the bowling alley. I can’t say I gave any thought to donating my birthday to someone else…and that’s why no one called me up for an interview when I was in 1st grade. Kayleigh is different though. She generously decided to donate her birthday celebration to raising money for Neurofibromatosis (NF) research. Take a minute to read the interview and remind yourself how warmhearted and wonderful kids can be. Cupid’s: I have a hunch you’re not quite into coffee yet, so what’s your favorite thing to drink on a hot, summer day? C: Good choice! Lemonade, it is! Most 7 year olds aren’t really interested in asking for donations instead of gifts, but you did! 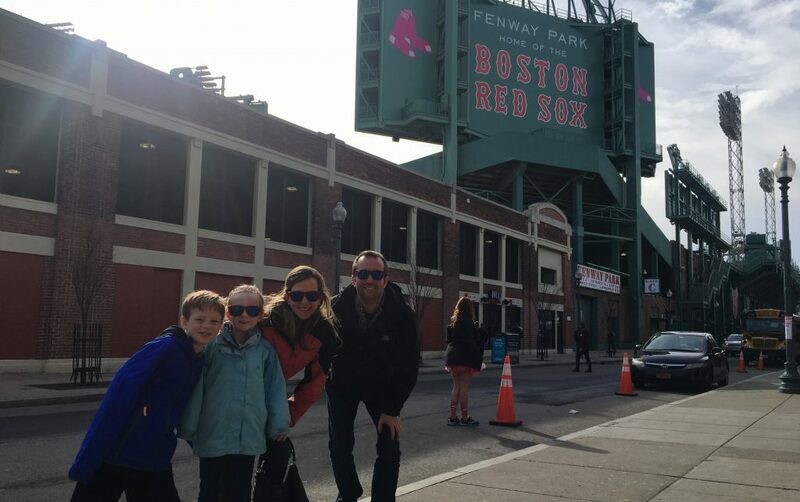 Why did you want to donate your birthday for NF research? K: I want the doctors to be able to cure NF so kids won’t have to worry about it. C: Is it a friend of yours that is affected by Neurofibromatosis? K: I know a boy named Jack. His dad and my dad are friends. 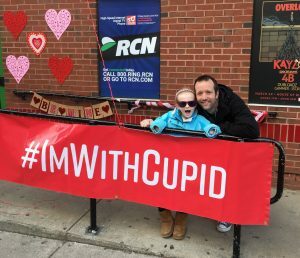 My parents have done the Cupid’s Undie Run for “Cure NF with Jack” for a few years. 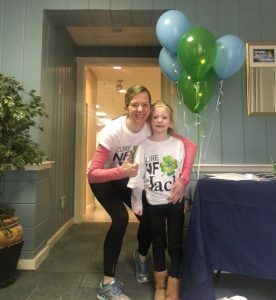 My family has never met Jack, but we are happy to support him and raise money for NF. 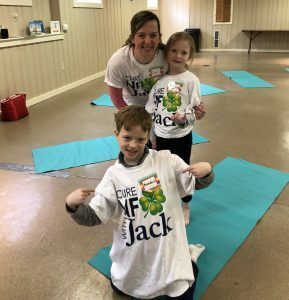 We even organized a kids’ yoga class this winter in our town and raised money for NF. K: My dad told me about it and we often pray for Jack and other kids with NF. C: What do you think about your parents running in their undies to raise money for NF research? C: What would you say to other kids who are thinking about donating their birthday? Was it worth it? K: Some people like Jack have NF and we want the doctors to be able to find a cure for kids like him. If you donate money, they might find a cure. I still got birthday presents from my family, but was so glad that my friends raised $300 for NF! C: That’s incredible! 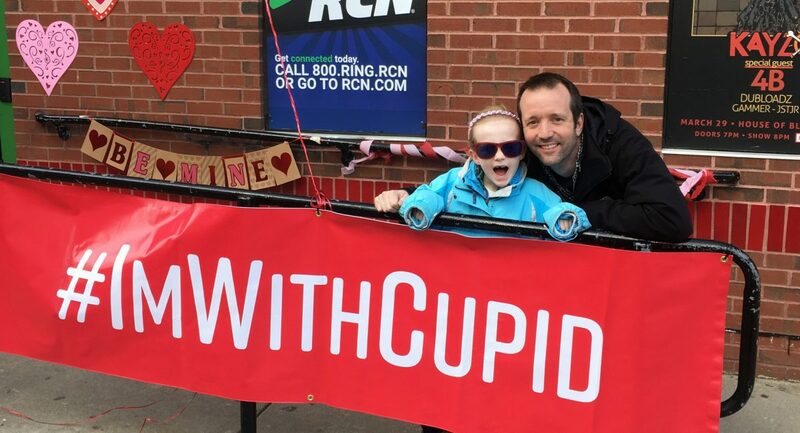 Do you think you’ll do Cupid’s Undie Run with us in 14 years? K: Yes, I would like to run in my undies! Sidenote: Mom and Dad love Kayleigh’s kind nature, but we’ll revisit this last question in the years to come! If you’d like to donate your own birthday to raise money for NF research (or create a different type of fundraiser), explore Project: Cupid, our DIY fundraising platform for more information.